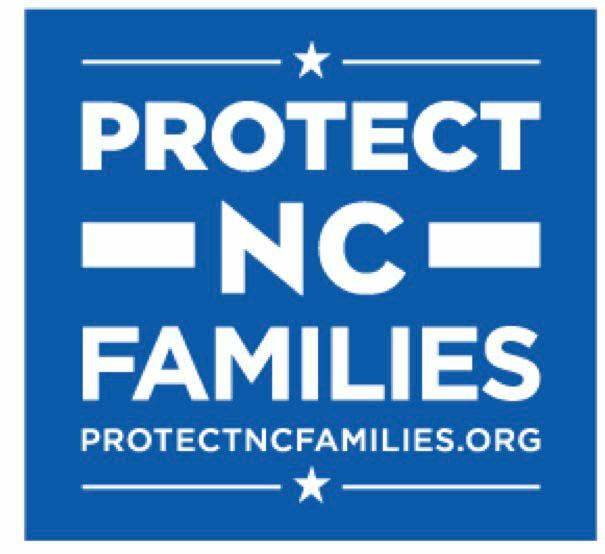 The Coalition to Protect All North Carolina Families held a news conference Wednesday in Raleigh to unveil its campaign aimed at defeating the amendment question forced onto the ballot by the state Legislature. The ballot question, for those who have been living under a rock over the past year, would add to NC's Constitution a ban on legal recognition for all unmarried couples, regardless of sexual orientation, and revoke many protections already in place for hundreds of thousands of tax-paying citizens. 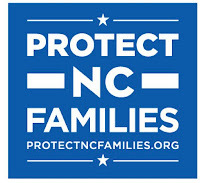 The Coalition is comprised of dozens of 'organizations dedicated to defeating Amendment One in order to protect ALL North Carolina families,' including Democracy North Carolina, Institute for Southern Studies, National Association of Social Workers NC, North Carolina Council of Churches, North Carolina Justice Center, PFLAG, and many more. The organizations serving as the Coalition's steering committee are: ACLU-NC, Equality NC, Faith in America, Human Rights Campaign, Replacements, Ltd., Self-Help, and Southerners On New Ground (SONG). The Coalition's brand new Website serves as a powerful resource, as both an education tool, and as a call-to-action. Visitors can learn about the many ways in which the amendment would be harmful to NC. They can learn about the many clergy members throughout the state who are committed to defeating the amendment. Visitors can also read compelling stories from NC citizens affected by anti-LGBT legislation. The site also makes it easy for anyone to get involved. Visitors can sign up to volunteer, attend an event, share their own story, or donate. The Coalition has made a toolkit available, which features sharable videos and printable pamphlets. Their goal is to have 1,000,000 conversations with North Carolinians before May 8, and they need our help to meet that goal. Whether or not you think you have a dog in this fight, it's important to familiarize yourself with this ballot question, the harms that would come from an amendment, and to be a part of the conversation. It's important that NC citizens from all walks of raise their voices. Don't leave it up to the 'activists.' Straight, gay, religious, atheist, old, young, black, white...this affects all of us, and it sets the tone in our state for years to come. Be on the right side of history and help defeat this harmful initiative on May 8.